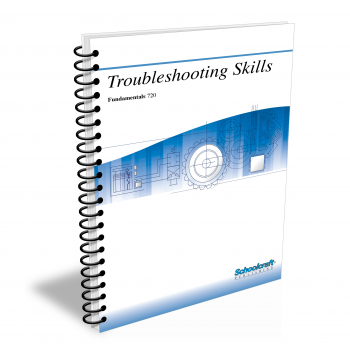 The Troubleshooting Skills textbook explores the subject of troubleshooting and the importance of proper maintenance procedures. It covers working with others, aids in communication, and trade responsibilities. It also outlines troubleshooting techniques and aids, focusing on specific maintenance tasks, breakdown maintenance, and planned maintenance. Does your curriculum require additional topics not included in this textbook? 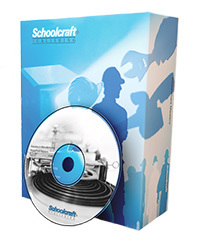 Build a customized version of the Troubleshooting Skills textbook below. Tell why efficient troubleshooting is important in a production plant. Name the four common troubleshooting aids. List the steps in troubleshooting a machine. List the steps in troubleshooting a system. Describe a typical maintenance organization. Tell why good communication between plant personnel is needed. List the ways a person usually sees himself/herself. Explain the correct method of delivering a written message from your supervisor to another person. List the steps to recognizing normal machine operations. List the questions you should ask yourself when a machine fails. List the signs of a machine in need of service. List the information that should be recorded in a machine equipment record. Identify different troubleshooting test equipment. List the information you must know about mechanical or electrical systems before you can troubleshoot them successfully. Name the commonly used items that should be carried in every troubleshooter's tool box. List the steps to follow in reading a pneumatic or hydraulic schematic. List the responsibilities of a troubleshooter. Discuss how to use schematics when troubleshooting. Explain how to use a troubleshooting chart. Identify pump failure problems and solutions. Identify different plant equipment and their problems. State the definition of switchgear. Identify current voltage characteristics of wire. List the safety rules to follow when working with electrical equipment. Identify a pictorial diagram, a block diagram, and a schematic diagram. Explain how to troubleshoot an electric problem. Explain what to do if you are the first member of the emergency crew. Explain the spare parts requisition form. Discuss the four main parts of practical machine maintenance. State the definition of planned maintenance. List the information that should be included on record sheets or file cards as part of the machine inventory. List the benefits to be accrued from an effective lubrication program. Describe the proper sag in a drive chain. Explain how to service a battery properly.